Fantastic Kingsview condo on the CHANNEL. Steps to the beach, pool and Fun!!! Park your boat on the beach during the day! Enjoy your vacation on the water at the KingsView condos. 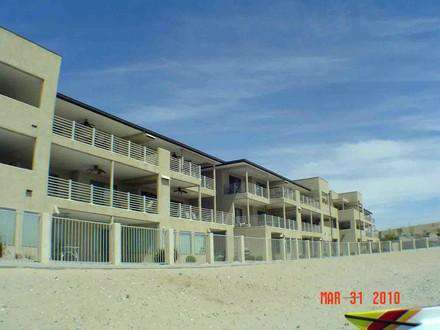 2 bedroom 2 bath condo sleeps 6 Large patio with views of the water and Bridge. Heated (heated only in winter for 1-2 months)swimming pool that overlooks Channel. Wonderful summertime or winter Vacation Rental. You must be at least 21 to rent this unit. Enjoy pulling your boat up to the beach and going up to your Condo, however no overnight mooring. 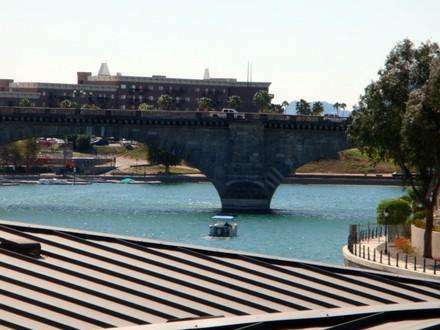 The problem with Lake Havasu is not what to do, it’s choosing which event or activity you can fit into your busy day! If it becomes overwhelming, remember the sun is always out, so, grab that book and lounge chair and enjoy! 1-Pet (dog) is allowed can't weigh over 25 pounds. $20.00 per day rate. Per HOA rules of complex. 2-You must be 21 years of Age to rent property all guest with exception of your children. Damage deposit is $500.00 pre-authorized 1-2 days prior to arrival. Winter Rentals - October thru March. 90 days prior to arrival you may cancel in writing you will be charged 15% cancellation fee of your deposit. 90 days to arrival- if canceled , you forfeit your deposit, unless we are able to secure another renter, with a 15% cancellation fee. Summer Rentals -April thru September - No Cancellations, if we are able to re-rent the property we will refund you all of your deposits, except 15%. All rates are subject to change prior to booking. This property has 1 King(s), 1 Queen(s), 1 Futon(s). A deposit is required at the time of booking by credit card. You may also send a cashiers’ check or personal check within 5 days after booking the reservation. *Cashiers’ checks or money orders may be required on short notice reservations. In the event of a cancellation, a refund of the monies paid, less 15% of the total lodging expense will be made if notified 90 days or more prior to arrival in writing. Should notification be made less than 90 days prior to arrival, the entire amount paid will be subject to forfeiture unless the property is re-rented for the entire period of the original booking. If the property is fully re-rented a refund will be made less the cancellation charge of 15% of the rental fee. No Cancellations April through October. You will lose your deposit if we can not re-rent the property. We will do our best to re-rent the property for the nights you have reserved. Deposit is $500.00 to $1,200.00 depending on property. This is fully refunded after inspection of home if no damages to home or items in the home and returned within 15 days. 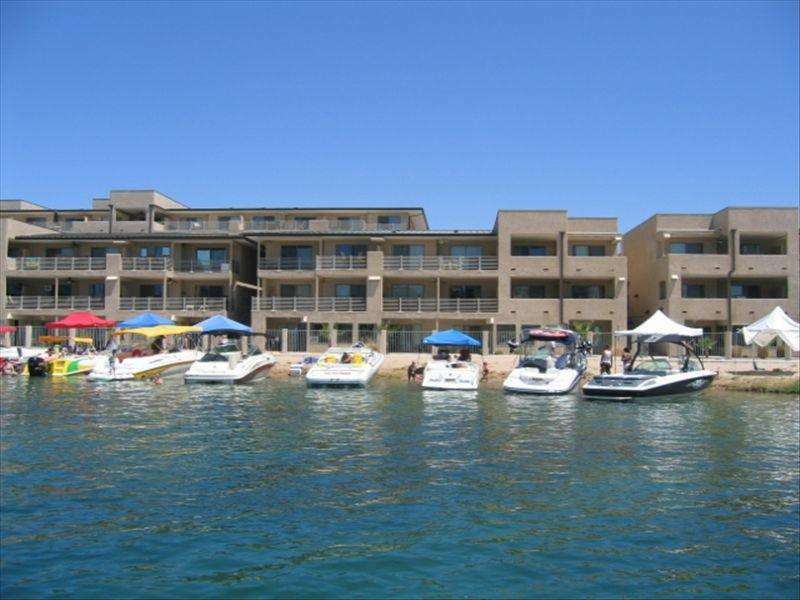 Copyright © 2019 Lake Havasu Arizona Vacation Rentals. All Rights Reserved.